The latest from the Luzzo’s BK pizzeria folks is this just opened 2,000 square-foot indoor space with 30-foot-high ceilings and a sizable open-air backyard. Should be plenty of room for the dough to rise. 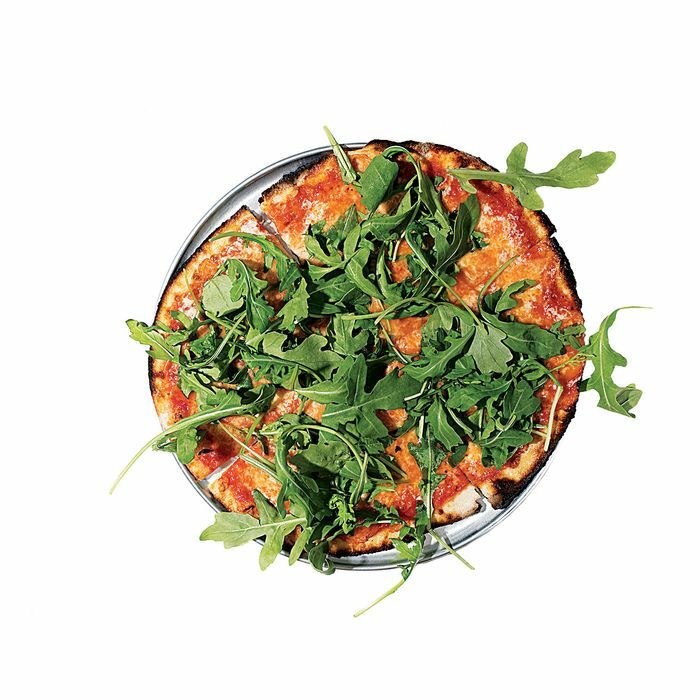 Danny Meyer’s Roman-food guru, former Marta and Maialino chef Nick Anderer, has brought his ultra-thin-crust pizza to the well-lubricated, frequently hungover, always hungry East Village — a built-in audience if there ever was one. Unlike the wood-fired pies at the mother ship, Marta, Martina’s are smaller, cheaper ($7 to $12), cooked in a gas oven, and doled out counter-service style. One of those vibrating pager thingies Meyer popularized at Shake Shack will buzz you when yours is ready. Before there was pizza, there was pinsa, an ancient Roman flatbread made from a mix of wheat, corn, soybean, and rice flours. That’s the main attraction at this trattoria from the team who also runs Brooklyn’s Locanda Vini e Olii in Clinton Hill. The name of the restaurant refers to Count Camillo Negroni, the man behind the ever-popular cocktail. Matt Kliegman and Carlos Quirarte’s revamp of the former Café Gitane space at the Jane Hotel is no slice joint, but there is a focus on pizza, not to mention an in-house bread program. Former Lighthouse chef Joey Scalabrino is sourcing organic flour from Central Milling in Utah, and offering four to five variously topped pies including one with clams, parsley, cream, garlic, and chiles, plus a rotating special. You’ll also be able to get them in the wee hours Thursday to Saturday, on a late-night menu. What would a splashy, new, amenity-happy rental complex like Urby Staten Island be without a place to go for pizza, the fifth borough’s official foodstuff? With a pie guy who did time at Adrienne’s and Harry’s in Manhattan, Seppe fits the bill. The pizza restaurant’s kitchen will even put to use produce from Urby’s on-site farm “whenever possible,” as cautious locavores like to say. Enthusiasm for puffy Neapolitan pizza codified to within an inch of its life may be on the wane these days. But if anything can spark a resurgence, it’s this New York flagship from the Neapolitan celebrity super-chef Gino Sorbillo. According to his PR, Sorbillo’s father is the 19th of 21 children, all of them pizzaioli. So, yes, you could say that pizza-making runs in the family. Danny Meyer’s Martina isn’t the only thin-crust specialist to head to the East Village this fall. 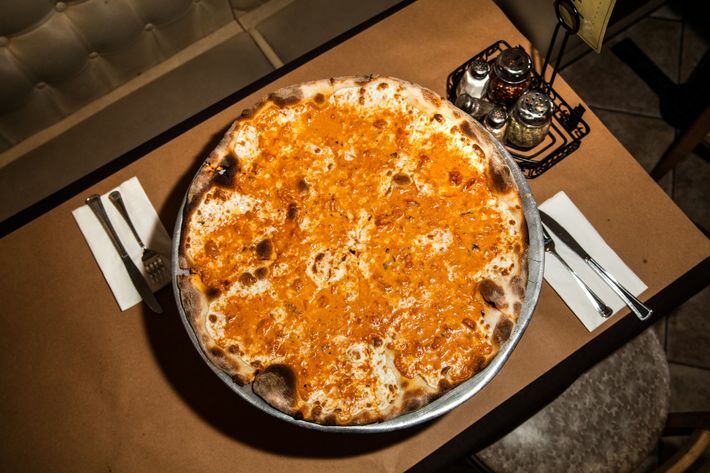 There’s also 57-year-old Joe & Pat’s, the pride of Castleton Corners, Staten Island, which is bringing its patented dough-punching technique to the former Lanza’s space. Expect a reasonable facsimile of the Staten Island menu, down to the slices “available up until dinnertime,” says partner Casey Pappalardo. After that it’s strictly whole pies out of the signature Fish-brand revolving-shelf oven. After nearly two decades spent slinging salumi and stirring the pasta pot in one kitchen or another, Rosemary’s Enoteca & Trattoria chef, Wade Moises, finally gets a chance to make his all-time favorite food: That’s right, pizza, wood-fired and creatively topped.